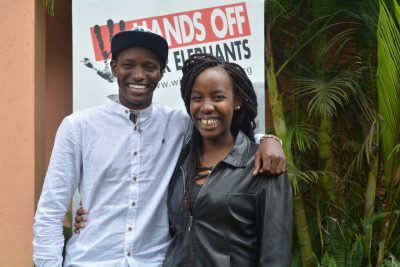 On August 30, WildlifeDirect hosted Richard Turere and Tiassa Mutunkei, two amazing youth who represent the younger generation in Kenya that are passionate about conserving our wildlife. Over the years, WildlifeDirect has walked with these young wildlife warriors over the years and supported them in their quest to pursue conservation goals and inspire others to follow suit. We are deeply shocked and saddened by the tragic news of Wayne Lotter’s murder on Wednesday evening. We offer our condolences to his family and friends. Wayne Lotter’s work was vital because of the rate of elephant poaching in Tanzania, which has decimated populations by over 75% in just 5 years.